The DC 062 axis module with an incremental encoder input from SIGMATEK expands the S-DIAS series and is used to control synchronous servomotors. 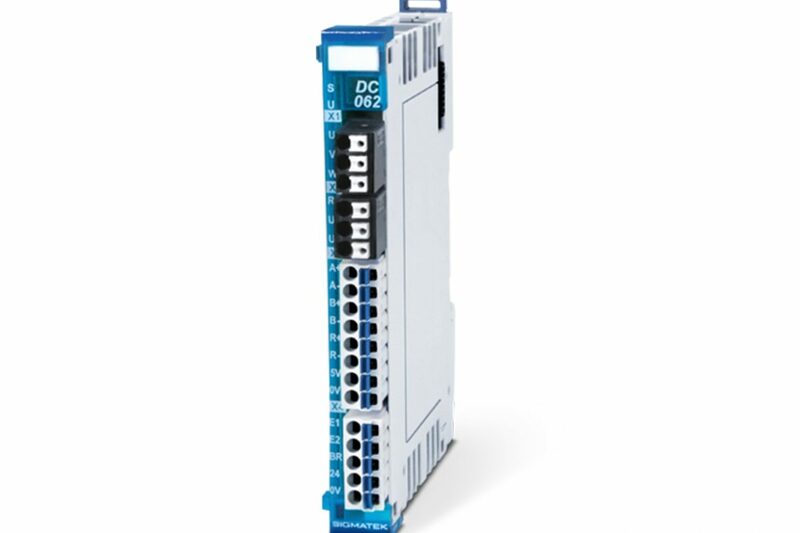 The S-DIAS series communicate over the hard real-time Ethernet bus VARAN with a speed of 100 Mbit/s and are therefore perfectly suited for fast, dynamic applications. Individual I/O modules can be accessed within 1.12 µs. 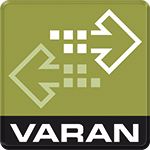 Per CPU module or VARAN bus interface, 64 participants with up to 1,280 I/Os can be connected. At a power rating of 300 Watts, up to 6 Amperes of continuous current can be reached. For a short time, a peak current of up to 15 Amperes are possible. The integrated 32-bit incremental encoder, with a counter frequency up to 500 kHz, provides cost-effective position evaluation. The compact servo amplifier is equipped with a 2-channel enable input. This allows the implementation of the TÜV-certified safety functions STO (Safe Torque Off) for applications up to SIL 3 (according to EN 62061) and Cat. 4, PL e (EN ISO 13849-1/2). The axis module also has a +24 V DC output, which makes controlling a stop brake possible.